Dolores Cannon sine bøker noen som er oversatt til NORSK "Destiny of Souls"
This theme on looking/evaluating the passed life from the "other side" - this passage in this extract is almost entirely/exactly as Lobsang Rampa wrote about this subject in some of his books 30-50 years ago. (This underlines that HE really could see the big sheme of LIFE.) Also here about suicides and the theme parallel possibilities in our life- choices. Many of my clients speak about being in research library settings soon after rejoining their soul groups. I have come to accept the idea that it is a standard learning imperative that we begin to study our past lives in depth right away. After I wrote about the place where our life records are stored in my first book, people asked if I was able to supply them with more details. The people who describe earthly structures in their spiritual home also include the library, and descriptions of this setting are quite consistent. On Earth, a library represents a systematic collection of books arranged by subjects and names which provide information. The titles of spiritual Life Books have my client's names on them. This may seem odd, but if I were working with an intelligent aquatic being from Planet..... who had never been to Earth and whose place of study was an ocean tide pool, I'm sure that is what this entity would report seeing in the spirit world. I have reported on spiritual classrooms and smaller adjacent cubicles where primary groups interact, including even smaller isolated rooms where souls can be completely alone for quiet study. There is nothing small about the library. Everyone tells me the location of the Life Books is seen as a huge study hall, in a rectangular structure, with books lined along the walls and many souls studying at desks who do not seem to know each other. When my subjects describe a spiritual library they see the floor plan design in figure 5, an image that is very prevalent in their minds. (Inside a typical library picture - but enormous). Once inside this space, librarian-guides are the Archivist Souls in charge of the books. They are quiet, almost monastic beings who assist both guides and students from many primary clusters in locating information. These spiritual libraries serve souls in different ways depending upon their level of attainment. Souls may be assisted either by their own guides, the Archivists, or both. Some of my clients go to the library alone upon returning to the spirit world, while others have guides who routinely accompany them into this space. A guide might get his student started and then leave the room. Many elements come into play here, including the complexity of the research and the timeline to be reviewed by the student soul. When students are in these study halls they sometimes work in pairs but mostly they do their research alone after being assisted by the Archivists in finding the proper Life Books. Eastern philosophy holds that every thought, word and deed from every lifetime in our past, along with every event in which we participated, is recorded in the Akashic Record. Possibilities of future events can also be seen with the help of scribes. The word "Akasha" essentially means the essence of all universal memory that is recording every energy vibration of existence, rather like an audio/visual magnetic tape. I have discussed the connections of divine, immortal and conscious memory. Our human conceptualization of spiritual libraries, timeless places where we study missed opportunities and our accountability for past actions, is an example of those memory connections. 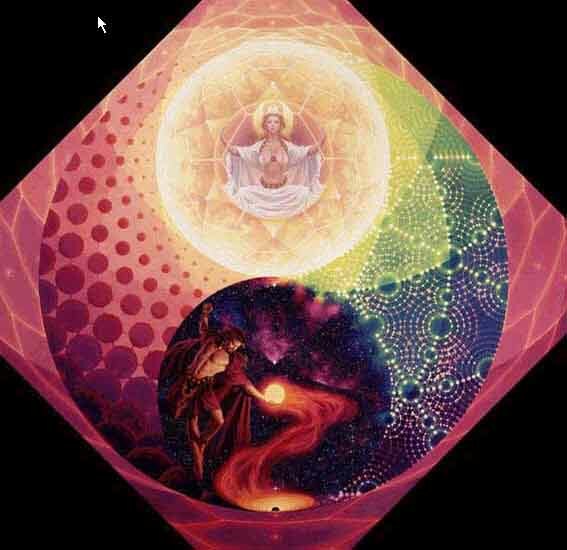 People of the East have conceived that the substance of all events past, present and future is preserved by containment within energy particles and then recovered in a sacred spiritual setting through vibrational alignments. I feel the whole concept of personal spiritual records for each of us did not originate in India or anywhere else on Earth. It began with our spiritual minds already having knowledge of these records between lives. I find it unsettling that certain aspects of recovered memory about spiritual libraries can be subverted by human belief systems, which are intended to frighten people. Within Eastern cultures there are those who have been led to believe the Life Books are analogous to spiritual diaries that can be used as evidence against the soul. Visions of spiritual libraries are interpreted as scenes where cases are prepared as depositions against errant souls based upon their karmic records. A further step in this misguided belief system brings us to the dreaded tribunal for sentencing after testimony about the soul's shortcomings in the last life. Certain psychics claim they have privileged access to events of the future through Akashic Records and that by working exclusively with them they can divert their followers from catastrophe. Human extravagance has no bounds when it comes to instilling fear. A prime example is the fear of terrible punishment for those who commit suicide. It is true that being kept out of heaven has been a deterrent to suicide, but it is the wrong approach. I have noticed in recent years that even the Catholic church is not quite so adamant about suicide being a mortal sin subject to the extremes of spiritual punishment. There is now a Vatican-approved catechism which states that suicide is "against natural law" but adds, "by ways known to God alone, there is opportunity for salutary repentance:' Salutary means conducive to some good purpose. My next case represents a subject who killed herself in her last life. She describes her examination of this act in a library setting. Repentance in the spirit world often begins here. Since I will be reviewing her suicide, this is a suitable point to briefly digress from the library and address some of the questions I have been asked about suicide and subsequent retribution in the spirit world. When I work with clients who have committed suicide in former lives, the first thing most exclaim right after the moment of death is, "Oh, my God, how could I have been so stupid!" These are physically healthy people, not those who are suffering from a debilitating physical illness. Suicide by a person, young or old, whose physical state has reduced the quality of their life to almost nothing is treated differently in the spirit world than those who had healthy bodies. While all suicide cases are treated with kindness and understanding, people who killed themselves with a healthy body do have a reckoning. In my experience, souls feel no sense of failure or guilt when they have been involved with a mercy death. I shall give a realistic example of this sort of death with a brother and sister under the free will section in chapter 9. When there is unendurable physical suffering, we have the right to be released from the pain and indignity of being treated like helpless children connected to life-support systems. In the spirit world, I find that no stigma is attached to a soul leaving a terribly broken body who is released by its own hand or from that of a compassionate caregiver. 1. Young, highly sensitive souls who began their incarnations on Earth but have spent little time here. Certain souls in this category have had great difficulty adjusting to the human body. They feel their very existence to be threatened because it is so cruel. 2. Both young and older souls who incarnated on another planet before coming to earth. If these souls lived on worlds less harsh than Earth, they may be overcome by the primitive emotions and high density of the human body. These are the hybrid souls I discussed in the last chapter. Essentially, they feel they are in an alien body. 3. Souls below level III, who have been incarnating on Earth since their creation but are not merging well with their current body. These souls accepted a life contract with a host body whose physical ego mind is radically different from their immortal soul. They cannot seem to find themselves in this particular lifetime. What happens to souls involved with suicide in healthy bodies? These souls tell me they feel somewhat diminished in the eyes of their guides and group peers because they broke their covenant in a former life. There is a loss of pride from a wasted opportunity. Life is a gift and a great deal of thought has gone into allocating certain bodies for our use. We are the custodians of this body and that carries a sacred trust. My clients call it a contract. Particularly when a young, healthy person commits suicide, our teachers consider this an act of gross immaturity and the abrogation of responsibility. Our spiritual masters have placed their trust in our courage to finish life with functional bodies in a normal fashion, no matter how difficult. They have infinite patience with us, but with repeated suicide offenders their forgiveness takes on another tone. Once again you are here early and we are disappointed. Have you not learned the same test grows more difficult with each new life you terminate? Your behavior is selfish for many reasons, not the least of which is the sorrow you caused to those left behind who loved you. How much longer will you continue to just throw away the perfectly good bodies we give you? Tell us when you are ready to stop engaging in self-pity and underestimating your capabilities. I don't think I have ever heard of a council member come down any harder on one of my subjects over the issue of suicide. Months later, this client wrote me to say that whenever thoughts of committing suicide entered his head he pushed them aside because of a desire to avoid having to face this Elder again after killing himself. A little posthypnotic suggestion on my part made recovering this scene in his conscious mind especially easy and serves as a deterrent. In suicide cases involving healthy bodies, one of two things generally happens to these souls. If they are not a repeat offender, the soul is frequently sent back to a new life rather quickly, at their own request, to make up for lost time. This could be within five years of their death on Earth. The average soul is convinced it is important to get right back on the diving board after having taken a belly flop in a prior life. After all, we have natural survival instincts as human beings and most spirits tenaciously fight to stay alive. For those who display a pattern of bailing out when things get rough there are places of repentance for a good purpose. These places do not contain a pantheon of horrors in some dark, lower spirit region reserved for sinners. Rather than being punished in some sort of bleak purgatory, these souls may volunteer to go to a beautiful planetary world with water, trees and mountains but no other life. They have no contact with other souls in these places of seclusion except for sporadic visits by a guide to assist them in their reflections and self-evaluation. Places of isolation come in many varieties and I must admit they seem terribly boring. Maybe that's the whole idea. While you are sitting out the next few games on the bench, your teammates continue with challenges in their new lives. Apparently this medicine seems to work because these souls come back to their groups feeling refreshed but knowing they have missed out on a lot of action and opportunities for personal development with their friends. Nonetheless, there are souls who will never adjust to Earth. I hear some are reassigned to other worlds for their future incarnations. My next two cases represent the exposure of souls to spiritual libraries and the impact seeing their records has on them. In both cases there is evidence of the use of altered reality, with some differences. The woman in case 29, a suicide case, will be shown a series of alternate choices she could have made in her past life, presented in four coexisting time sequences. The first timeline was the actual life itself. She will be more of an observer than a participant in these scenes. With case 30, however, we will see the employment of a single scene with an altered reality where the soul will dramatically enter a scene from his past life to actually experience a different outcome. Both cases are designed to show the many paths in life involving choices. Our guides decide on the most effective means for self-discovery in the library. The design and scope of these investigations then comes under the jurisdiction of the Archivists. Amy had recently returned to the spirit world from a small farming village in England where she killed herself in 1860, at age sixteen. This soul would wait another hundred years before coming back due to her self-doubts about handling adversity. Amy drowned herself in a local pond because she was two months pregnant and unmarried. Her lover, Thomas, had been killed the week before in a fall off a thatched roof he was repairing. I learned the two were deeply in love and intended to marry. Amy told me during her past life review that she thought when Thomas was killed her life was over. Amy said she did not want to bring disgrace upon her family from the gossip of local villagers. Tearfully, this client said, "I knew they would call me a whore, and if I ran off to London that is exactly what a poor girl with child would become." In suicide cases, the soul's guide might offer seclusion, aggressive energy regeneration, a quick return, or some combination of these things. When Amy crossed over after killing herself, her guide, Likiko, and the soul of Thomas were there to comfort her for a while. Soon she was alone with Lildko in a beautiful garden setting. Amy sensed the disappointment in Likiko's manner and she expected to be scolded for her lack of courage. Angrily, she asked her guide why the life didn't go as planned in the beginning. She had not seen the possibility of suicide before her incarnation. Amy thought she was supposed to marry Thomas, have children and live happily in her village to old age. Someone, she felt, had pulled the rug out from under her. Likiko explained that Thomas' death was one of the alternatives in this life cycle and that she had the freedom to make better choices than killing herself. Amy learned that for Thomas, his choice to go up on a high, steep and dangerously slippery roof was a probable one-more probable because his soul mind had already considered this "accident" as a test for her. Later, I was to learn Thomas came very close to not accepting the roof job because of "internal forces pulling him the other way:' Apparently, everyone in this soul group saw that Amy's capacity for survival was greater than she gave herself credit for, although she had shown tenuous behavior in her earlier lives. Once on the other side, Amy thought the whole exercise was cruel and unnecessary. Likiko reminded Amy that she had a history of self-flagellation and that if she was ever going to help others with their survival, she must get past this failing in herself. When Amy responded that she had little choice but to kill herself, given the circumstances of Victorian England, she found herself in the following library scene. Dr. N: where are you now? Dr. N: why do you think you are in this sort of building? S: (pause) In one of my lives I lived as a monk in Europe (in the twelfth century). I loved the old church cloister as a place for quiet study. But I know where I am now. It is the library of great books... the records. Dr. N: Many people call them Life Books. Is this the same thing? S: Yes, we all use them... (pause, subject is distracted) There is a worrisome-looking old man in a white robe coming toward me... fluttering around me. Dr. N: what's he doing, Amy? S: Well, he's carrying a set of scrolls, rolls of charts. He is muttering and shaking his head at me. Dr. N: Do you have any idea why? S: He is the librarian. He says to me, "You are here early." Dr. N: what do you think he means? S: (pause) That... I did not have compelling reasons for arriving back here early. Dr. N: Compelling reasons ...? S: (breaking in) Oh... being in terrible pain-not able to function in life. Dr. N: I see. Tell me what this librarian does next. S: There is a huge open space where I see many souls at long desks with books everywhere but I'm not going to that room now. The old man takes me to one of the small private rooms off to the side where we can talk without disturbing the others. Dr. N: How do you feel about this? S: (shakes head in resignation) I guess I need special treatment right now. The room is very plain with a single table and chair. The old man brings in a large book and it is set up in front of me like a TV viewing screen. Dr. N: what are you supposed to do? S: (abruptly) Pay attention to him! He sets his scroll in front of me first and opens it. Then he points to a series of lines representing my life. Dr. N: Please go slowly here and explain what these lines mean to you, Amy. S: They are life lines-my lines. The thick, widely spaced lines represent the prominent experiences in our life and the age they will most likely occur. The thinner ones bisect the main lines and represent a variety of other... circumstances. Dr. N: I have heard these less-prominent lines are possibilities of action as opposed to the probabilities. Is that what you are saying? Dr. N: what else can you tell me about the thick versus thin lines? S: Well, the thick line is like the trunk of a tree and the smaller ones are the branches. I know the thick one was my main path. The old man is pointing at that line and scolding me a bit about taking a dead-end branch. Dr. N: You know, Amy, despite this Archivist fussing about these lines, they do represent a series of your choices. From a karmic standpoint all of us have taken a wrong fork in the road from time to time. S: (heatedly) Yes, but this is serious. I did not just make a small mistake in his eyes. I know he cares about what I do. (There is a pause and then loudly) I WANT TO HIT HIM OVER THE HEAD WITH HIS DAMN SCROLL. I TELL HIM, "YOU GO TRY MY LIFE FOR A WHILE!" Note: At this point Amy tells me that the old man's face softens and he leaves the room for a few minutes. She thinks he is giving her time to collect herself but then he brings back another book. This book is opened to a page where Amy can see the Archivist as a young man being torn apart by lions in an ancient Roman arena for his religious convictions. He then puts this book aside and opens Amy's book. I ask her what she sees next. S: It comes alive in three-dimensional color. He shows me the first page with a universe of millions of galaxies. Then the Milky Way ... and our solar system... so I will remember where I came from - as if I could forget. Then, more pages are turned. Dr. N: I like this perspective, Amy. Then, what do you see? S: .... . crystal prisms... dark and light depending upon what thoughts are sent. Now, I remember I have done this before. More lines... and pictures... which I can move forward and backward in time with my mind. But the old man is helping me anyway. Note: I have been told these lines form vibrational sequences representing timeline alignments. Dr. N: How would you interpret the meaning of the lines? S: They form the patterns for the life pictures in the order you wish to look at-that you need to look at. Dr. N: I don't want to get ahead of you, Amy. Just tell me what the old man does with you now. S: Okay. He flips to a page and I see myself onscreen in the village I just left. It isn't really a picture-it's so real-it's alive. I'm there. Dr. N: Are you actually in the scene or are you simply observing the scene? S: We can do both, but right now I am supposed to just watch the scenes. Dr. N: That's fine, Amy. Let's go through the scene as the old man is presenting it to you. Explain what is going on. S: Oh ... we are going to look at... other choices. After seeing what I actually did at the pond where I took my life-the next scene has me back at the pond on the bank. (pause) This time I don't wade in and drown myself. I walk back to the village. (laughs for the first time) I'm still pregnant. Dr. N: (laughing with her) Okay, turn the page. Now what? S: I'm with my mother, Iris. I tell her I am carrying Thomas' baby. She is not as shocked as I thought she would be. She is angry, though. I get a lecture. Then... she is crying with me and holding me. (subject now breaks down while tearfully continuing to talk) I tell her I am a good girl, but I was in love. Dr. N: Does Iris tell your father? S: That is one alternative on the screen. Dr. N: Follow that alternative path for me. S: (pause) We all move to another village and everyone there is told I am a widow. Years later, I will marry an older man. These are very hard times. My father lost a lot when we moved and we were even poorer than before. But we stay together as a family and life eventually becomes good. (crying again) My little girl was beautiful. Dr. N: Is that the only alternative course of action you study right now? S: (with resignation) Oh, no. Now, I look at another choice. I come back from the pond and admit I am pregnant. My parents scream at me and then fight with each other about who is to blame. I am told they do not want to give up our small farm they worked so hard for and leave the village because I am disgraced. They give me a little money to get to London so I can try to find work as a serving girl. Dr. N: And how does this work out? Dr. N: Well, at least you tried to survive in that alternative life. Are any other choices shown to you? S: I'm growing tired. The old man shows me one last choice. There are others, I think, but he will stop here because I ask him to. In this scene my parents still believe I should go away from them but we wait until a traveling peddler comes to our village. He agrees to take me in his cart after my father pays him something. We do not go to London but rather to other villages in the district. I finally find work with a family. I tell them my husband was killed. The peddler gave me a brass ring to wear and backs up my story. I'm not sure they believe me. It doesn't matter. I settle in the town. I never marry but my child grows up healthy. Dr. N: After you are finished turning these pages with the old man and have contemplated some of the alternatives to suicide, what are your conclusions? After this session my client discussed some of the choices she has had to make in her current life involving courage. As a teenager she became pregnant and dealt with this difficulty through the help of a school counselor and finally her mother, who was Iris in her life as Amy. They encouraged her to stand up for herself regardless of the opinions of others. In our session together my subject learned her soul has a tendency to prejudge serious events in her life in a negative manner. many past lives there was always a nagging thought that whatever decision she made in a crisis would be the wrong one. Because I wasted the body assigned to me, I am doing a kind of penance. During recreation I can't go to the music room, which I love to do, because I need to be alone in the library. I use the screens to review my past actions involving choices where I have hurt myself and those around me. The size of these screens depends upon usage within a given setting. For instance, in the life selection rooms we use just before our next incarnation, the screens are much larger than seen in spiritual libraries and classrooms. Souls are given the option of entering these life-sized screens. The huge, shimmering screens usually encircle the soul and they have been called the Ring of Destiny. I will discuss the Ring further in chapter 9. Despite the impressive size of the screens in future-life selection rooms, souls spend far more time looking at scenes in the library. The function of the smaller library screens is for monitoring past and current time on Earth on a continuing basis. All screens, large or small, have been described to me as sheets of film which look like waterfalls that can be entered while part of our energy stays in the room. All cosmic viewing screens are multidimensional, with coordinates to record spacetime avenues of occurrence. 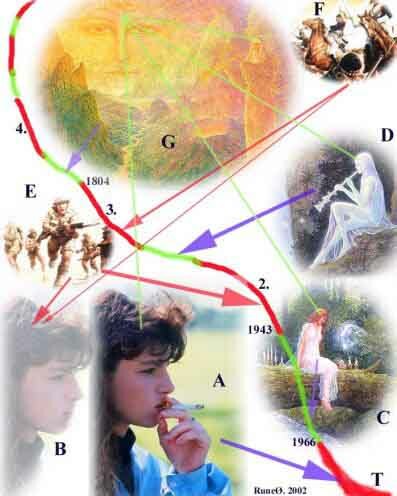 These are often referred to as timelines and they can be manipulated by thought scanning. There may be other directors of this process not seen by the soul. Quite often a subject will employ mechanical contrivances in their scanning descriptions such as panels, levers, and dials. Apparently, these are all illusions created for souls who incarnate on Earth. 1. As observers moving as unseen ghosts through scenes on Earth with no influence on events. I see this as working with virtual reality. 2. As participants where they will assume roles in the action of the scene, even to the extent of altering reality from the original by re-creations. Once reviewed, everything returns to what it was since the constant reality of a past event on a physical world remains the same from the perspective of the soul who took part in the original event. As the dialogue progresses in my next case, it will be obvious that an unseen entity is re-creating a past life scene, but with alterations. These adjustments are intended to elicit empathy and teach the soul in case 30. This case is an example of what some of my clients mean when they talk about entering worlds of altered time and causality through screens found in books, desk consoles and viewing theaters. Although these spacetime training exercises do not change the course of the original historical event on Earth, there may be other forces at work here. I concede the possibility that my subject's memories could demonstrate that they are moving through parallel universes which might nearly duplicate our own spacetime. Yet in spiritual classrooms and libraries they do not see past events on Earth as being outside the reality of our universe. I do have the feeling that what a soul from Earth is able to see and explain to me is regulated by the resonances of their personal guides. When they reach the life selection room, with larger, theater-type screens to look solely at the future, their perspective about a constant reality changes more to a fluctuating reality. Events on any screen can be moved forward or backward. They can be placed into fast or slow motion or suspended for study. All possibilities of occurrences involving the viewer are then available for study, as if they were using a movie projector. One can sense from case 30 that a past event on our physical world has not been indelibly changed for this individual even though his soul is existing in the eternal now time of the spirit world. 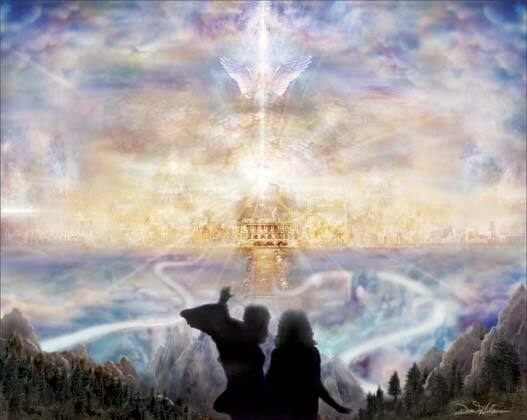 Some would call these projections "no time" for souls, because the past can be blended with future possibilities in the next life from an always-present spirit time. This case involves a soul called Unthur, who has just completed a life of aggressive behavior toward other people. His mentors decided to begin Unthur's life review in the library with a scene from his childhood in a play yard. Dr. N: when you return to the spirit world, Unthur, is there some highlight of your past life review that you particularly remember and would like to tell me about? S: After I have time to visit with my group for a while my guide, Fotanious, escorts me to the library for some private study while my past life is still very fresh. Dr. N: Is this the only time you will come here? S: Oh, no. We often come here by ourselves to study. It is also a way to prepare for the next life too. I will study vocations and avocations for the new life in light of my objectives, to see if they fit. Dr. N: All right, let's move into the library. Please describe everything you see in the order that you see it. S: The room is in a large, rectangular building. Everything is a glowing, transparent white. The walls are lined with big thick books. Dr. N: Has Fotanious brought you here? S: Just in the beginning. Now I am with a woman with pure white hair who has met me. Her face is very reassuring. The first thing I notice when I enter are the long rows of tables that stretch off so far into the distance I can't see where they end. I see many people sitting at the long tables looking at the books in front of them. The people studying are not too close to one another. Dr. N: why is that? S: Oh... not facing each other is a matter of courtesy and respect for privacy. Dr. N: Please go on. S: My librarian looks so scholarly... we call these people the Scholastics. (To others they are Archivists) She moves to a nearby wall section and pulls down a book. I know these are my records. (in a faraway voice) They contain stories which have been told and those that are untold. Dr. N: (with some levity) Do you have your library card? S: (laughs) No cards are required-just mental attunement. Dr. N: Do you have more than one Life Book assigned to you? S: Yes, and this is the one I will use today. The books are stacked in order on the shelves. I know where mine are and they glow when I look at them from a distance. Dr. N: Could you go into the stacks yourself? S:Mmm... no ... but I think the older ones do. Dr. N: So at this moment the librarian has brought you the book you are supposed to study? S: Yes, there are large pedestals positioned near the tables. The Scholastic opens the page where I am to begin. Note: We are now at the stage when each case takes on a unique quality of personal engagement with the Life Book screens. The conscious mind may or may not be able to translate into human language what the superconscious mind fully sees in the library. Dr. N: Then she is getting you started at the pedestal before you take this book to a table by yourself? S: Yes ... I am looking at a page with... writing... gold lettering... Dr. N: Can you read this writing for me? S: No ... I can't translate it now... but it identifies that it is my book. Dr. N: Can't you make out even one word? Look closely. S:(pause)I... see the Greek pi symbol (U). Dr. N: Is this symbolic of a letter in the Greek alphabet or does it have a mathematical significance for you? Dr. N: Thank you for that. Now, tell me-what you are going to do with this book? S: Before I carry it down to an empty space at one of the tables, we are going to do an exercise together. The writing symbols tell us where to turn the pages ... but I can't tell you how... I don't know how to explain it. Dr. N: Don't worry about that. You are doing a fine job with explanations. Just tell me how the librarian helps you. Dr. N: (encouraging) All right, let the scene unfold and tell me all you can. S: (squirming in his chair) After I... crawl into the book... I am totally engaged with the scene in every respect as if it was being replayed all over again. I'm... in grade school. I am a tough kid who picks on the smaller, less aggressive boys ... punching them and throwing rocks at everybody when the schoolyard monitors aren't looking. And then ... OH, NO! S: (alarmed) Oh ... for God's sake! Now, I am the smallest kid in the yard and I'm being punched BY ME! This is incredible. After a while I am me again, being pelted by rocks from everyone else. Dr. N: (after quieting the subject down and moving him totally back into the library) Were you in the same time frame as you were as a child or in a form of altered reality? S: (pause) In the same time, with altered reality. None of this happened in my early life, but it should have. So the time has been played back to me in a different way. We can relive an event to see if we can get it better. I felt the pain I inflicted upon others by my bullying. Dr. N: Unthur, what have you learned from all this? S: (long pause) That I was an angry kid driven by fear of my dad. Those are the scenes I am going to do next. I am working on compassion and learning to control my rebellious nature as a soul. Dr. N: what is the significance of your Life Book and being in this whole library atmosphere? S: By studying my book I am able to recognize mistakes and experience alternatives. Being in this quiet study area-watching all the other souls at the tables doing the same thing-well, it gives me a feeling of camaraderie with them and all we are going through together. Later in our session we discovered that Unthur needed self-discipline and to be more considerate of people. This had been a pattern of conduct over many lives. when I asked if it was possible to study future lives in the library I received this answer. "Yes, we can scan a variety of possibilities here on the timelines, but future events are very indeterminate and this is not the space where I would make any decisions about what is to come." When I hear statements such as this I do think of parallel universes where all possibilities and probabilities can be examined. In this scenario, the same event could occur from a slight to radically altered range on the same timeline in multiple spaces and you would exist in many universes simultaneously. Yet, the Source of all spacetime might well employ alternate realities without parallel universes. In later chapters, I will cite reports of multiple universes around us which are not duplicates of our universe. In the spirit world, souls watching the orchestrated screens seem to move from past to present to future and back simultaneously in the same space. When souls are in the library, I'm told certain event sequences of the future may look shadowy on some lines and almost disappear. On the other hand, in the classrooms with larger screens, and especially in the place of life selection, which has huge panel screens, the timelines are bolder. 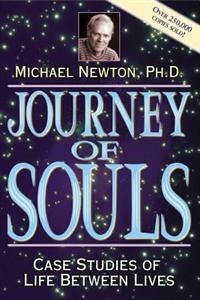 This allows for easier scanning and entry by the soul for future life study. Newer souls must acquire these skills by learning to blend their light waves with the lines on the screens. By concentrating their essence in this way, images come into focus that pertain to them. The timelines on the screens move back and forth, crossing one another as resonating waves of probability and possibility from the now time of the spirit world where past and future are joined and all is knowable. Cases 29 and 30, as with all my cases, raise the question of what true reality is. Are classrooms and the library with viewing screens of past and future time real? Everything I know about our life after death is based upon the observations of people. The observer communicates to me in trance from their soul mind through the brain. It is the observer who defines the properties of matter and ethereal substance both on Earth and in the spirit world. Consider the last case. Unthur told me he cannot change his past by a second-time-around visitation. Yet after death he returned to the playground of his childhood as an active participant. Once again he was a boy playing with other children with all the sights, sounds, smells and feelings connected to that event. Some of my clients say these are simulated events, but are they? Unthur became part of the scene where he bullied children and then was attacked by them. He could feel the hurt and squirmed in my office chair from pain he had not received in the timeline of this boyhood. Who is to say an altered reality does not simultaneously exist for all events, where both origins and outcomes are interchangeable? The observer soul may work with many realities at a time in the spirit world while studying. All are placed in the soul's path to teach. We question whether our universe is all an illusion. If eternal thoughts of the soul are represented by intelligent light energy that is timeless and formless, it is not restricted by matter in our universe. Thus, if a cosmic consciousness controls what the observer mind sees on Earth, the whole concept of cause and effect within given time intervals is a manipulated illusion designed to train us. Even if we believe that everything we think is real is an illusion, life is anything but meaningless. We know if we hold a rock in our hand it is as real to us as an observer-participant in a physical world. We must also keep in mind that a divine intelligence placed us in this environment to learn and grow for a greater good. None of us are here by accident and neither are those events which affect us in our own reality at this moment in time. Forfatteren, som har doktorgrad i klinisk psykologi, er autorisert hypnoseterapeut med praksis i California. I sin private praksis forsøkte han å hjelpe sine klienter med hverdagens problemer og oppdaget ved en tilfeldighet, metoder som ga klientene adgang til tidligere liv og til den åndelige verden mellom forskjellige liv. Det viste seg at klientene følte seg bedre hjulpet, da de ble brakt over til opplevelser av tidligere liv, og da de opplevde den dype meningsfulle sjeletilværelsen mellom livene. Boken er basert på hva 29 mennesker forteller under dyp hypnose, hvordan det føles å dø, hvem som møter oss i dødsøyeblikket, hvordan den åndelige verden oppleves, hvor vi oppholder oss og hva vi foretar oss som sjeler og hvorfor vi velger å komme tilbake i bestemte liv. Enten man tviler eller tror på flere liv, er boken en fascinerende lesing. Ikke bare tegner den et bilde av tilværelsen på den andre siden, men historiene som berettes av Newtons klienter under hypnose, gir en dypere mening med de tilsynelatende uforståelige skjebnene som vi utsettes for på denne kloden. Forfatteren skifter mellom å gjengi dialogen med pasienten og å trekke sine egne slutninger om hvilke åndelige lover som fungerer både på jorden og i den åndelige verden. Boken er også slik lagt opp at den begynner med å gjengi erfaringene fra dødsøyeblikket, hvordan personene gjenforteller møtet med lysvesene og avdøde foreldre eller slektninger som tar i mot dem. Vi følger den veien som sjelene følges inn i den aktive verden på den andre siden, til møte med gamle sjelevenner. Der tilbringer de mye tid for å diskutere sitt siste liv, få impulser på hva man mestret og hva som ikke ble slik som de hadde planlagt på forhånd. I mellomlivet dannes sjelegrupper på 15-20 personer, som en workshop, styrt av en veileder. Vedkommende opptrer som en foreldre for gruppen, men har ikke eierfornemmelser og utgjør ingen trussell. Det hele er en stor læreprosess sammen med veileder og sjeler som vi har levd veldig nært i det siste eller tidligere liv. Der deler man sine synspunkter med hverandre, innser forhold som ikke var synlig under inkarnasjonen og hjelper hverandre med toleranse og forståelse for de åndelige lover. I tillegg til å vurdere fortiden, planlegger gruppen og den enkelte sjel hvordan de vil møtes i neste liv, og hvilke utfordringer det er naturlig å velge seg. Hjelpemidlene som sjelen har i sitt frie valg når det gjelder sted å bli født og egnede foreldre, er ganske oppsiktsvekkende. Klientene beretter om at når tiden nærmer seg for å komme tilbake, samles sjelene på steder hvor de gis anledning til å studere både byer, yrker og personer på jorden gjennom å bevege seg inn i vår virkelighet som usynlige ånder. De forteller under hypnose at de som sjeler både kan se, høre og lukte alternativene. Deretter tar de valget, etter kontakt med sine veiledere, om hvilket liv som vil gagne dem best. De tar farvel med sine sjelvenner for å starte på en ny sjelereise inn i en ny kropp. Klientene beretter om forskjellig tidspunkt når de forener seg med fosteret. Det varierer fra tidlig i svangerskapet til like før fødselen. Før sjelen er helt forenet med det ufødte barnets kropp, beveger den seg ut og inn av mors mave temmelig fritt. Den kontakter andre sjeler som den leker med i påvente av å bli født. De sier at denne ventetiden er kjedelig. Boken kommer også inn på hva som skjer med de som begår selvmord og med de ”uforbederlige” sjeler. Klientene forklarer hvorfor vi ikke husker noe fra tidligere liv og om systemet med undervisning og utvikling i den åndelige verden. Tankevekkende er det at sjeler på den andre siden ler over at vi tar livet på jorden så alvorlig, når det hele er et skuespill som vi har selv vært med å lagt regien på. I den åndelige verden regnes jorden som en hard klode på grunn av mye lidelse, smerte, fysisk ubehag og mentale kamper. De sjelene som velger vår klode blir kalt for eventyrere av de som ikke reiser (inkarnerer) så mye. Karmaloven om årsak og virkning er sentral, og boken beretter at vi planlegger vårt neste liv og erfaringene der ut fra hva vi trenger. Det er en åndelig begrunnelse for, at vi som barn vokser opp omgitt av visse mennesker, på samme måte som andre mennesker er bestemt til å være i vår nærhet som voksne. Å kjenne seg selv åndelig, er å forstå hvorfor vi gikk inn til livet sammen med de sjelene som tilhørte våre foreldre, søsken, ektefeller og nære venner. Som regel er det en karmisk hensikt som ligger bak, når noen som står oss nær, forårsaker vår smerte eller gjør oss glade. Husk på at vi i tillegg til å lære vår lekse, også kommer til jorden for å spille en rolle i et drama som utgjør de andres læreprosess. Anmeldt av Roar Krogshus, gjengitt i Alternativt nettverk nr 1/2004. Det er ofte vanskelig å vite hvordan vi skal forholde oss til livets store hendelser og prosesser. Men ved å akseptere at vi skaper våre liv, og at alt er rettferdig og har sin årsak, kan vi få styrke til å leve med det som er utenfor vår kontroll og viljens kraft til å forandre det som vi kan påvirke. Stadig flere mennesker i vår vestlige verden tviler seg til å tro at vi lever flere liv. Etter en slik erkjennelse dukker neste spørsmål opp: Hvilke sammenhenger, om overhodet noen, er det mellom mine tidligere liv og dette. Hva er meningen med det livet som jeg nå lever. Og hvis det er noen sammenheng, hvordan skal jeg best forholde meg til personer og hendelser nå, for å legge forholdene bedre til rette for det neste. Min egen tvil begynte med Shirley Maclaines mange bøker, men gikk over til tro etter å ha lest boken ”Life between Life”, skrevet av legen Joel L. Whitton og Joel Fisher, en ekspert på reinkarnasjon. Da boken kom ut i 1986 var den basert på 13 års forskning, og mer enn 30 personer var brakt tilbake til tidligere liv og til perioden mellom livene under hypnose. Det de fortalte under hypnose viste en stor grad av likhet. Hva er det vi planlegger før vi blir født? Ved hjelp av vårt Høyere Selv, som er med oss gjennom alle livene og mellomlivene, får vi innsikt i hva vi trenger å møte av erfaringer og utfordringer i den neste inkarnasjonen. Problemet er bare at denne planen blir borte fra vår bevisste del i det øyeblikket vi ankommer gjennom fødselskanalen. 3. Utligne noe – vi møter igjen den energien vi har sendt ut i tidligere liv (karmaloven). Karma er ”loven” om årsak og virkning. Alt som vi tenker og gjør er skapende og kommer tilbake til oss på en eller annen måte, i et aller annet liv. I det nye testamentet finner vi den igjen i ”som du sår skal du høste”. Fra fødselen av møter vi personer som skal lære oss, påvirke, inspirere og irritere oss. De er foreldre og søsken, som du har valgte fra den andre siden. De er ideelle for den utviklingen som din sjel har valgt. Ikke bare velger vi våre foreldre, men vi velger også å tiltrekke oss andre viktige personer, slik som partnere, barn, sjefer, kolleger og venner, som alle ved sin væremåte bidrar til at vi får den prosessen som vi har ” bestilt”. Derfor er karmaloven aktiv der hvor disse personene finnes, i familien, i parforholdet, på arbeidsplassen og i vennekretsen. Mange spør meg om hva som er deres karmiske oppgave. Motivet er ofte ønsket om å løse sine utviklingsoppgaver, sine forhold til bestemte personer og sitt karma for å slippe å møte samme tema i et senere liv. - tilfeldigheter, sammentreff, møter med mennesker som åpner for nye uventede muligheter til å reise, lære, møte, arbeide o.l. - kontakt astrologer eller andre, men kjenn godt etter hva som kan være riktig av det de sier. Noen ganger, når man følger sin indre stemme, havner man opp i vanskelige situasjoner. Da er det lett å tro at vi har gjort feil valg. Men lærte du noe av ”feilen”? Det kan være at det valget du gjorde var helt nødvendig for det som du skulle lære eller utligne. Det finnes ikke feil, men valg som er mer eller mindre hensiktsmessige i forhold til det målet du har. Når vi følger trangen til for eksempel å velge yrke, kan det er starten på å utligne karma. Et tilfelle som jeg kjenner til, der opplevde en kvinne under en selvutviklingsprosess, å se seg selv som soldat i et tidligere liv. Den mannen som hun den gang var, opptrådte med stor brutalitet, noe som også omfattet voldtekt. Dette synet sjokkerte kvinnen sterkt, men samtidig forsto hun hvorfor hun hadde blitt tiltrukket av sitt yrkesvalg i dette livet. Hun var psykolog med spesialkompetanse i å behandle krigsofre med traumatiske opplevelser. Denne interessen hadde brakt henne til å arbeidet i et nasjonalt flykningemottak hvor hun hjalp mishandlede og voldtatte kvinner fra krigen i Bosnia. På den måten utlignet hun sitt karma gjennom å lindre tilsvarende psykiske skader og lidelser som hun hadde påført andre i sitt tidligere liv. I et annet tilfelle opplevde en person å se seg selv som mann i et tidligere liv hvor han ble frarøvet sin kjæreste med makt. Den som røvet kvinnen, tvang henne til å gifte seg med han. Hun hadde ikke noe valg den gangen. I dette livet treffer de tidligere kjærestene hverandre igjen. Det skjer i et og for dem uforklarlig sterkt møte, som om det hadde møtt før. Hun er imidlertid gift, og med den samme mannen som røvet henne den gangen, men ekteskapet skranter. (Ofte velger vi den samme ektefellen liv etter liv for å bearbeide gamle mønster.) Hun velger å skille seg, men det skjer ikke uten kamp, men nå med metoder som hører hjemme i det 20-århundre. De tidligere kjærestene gifter seg. Universet utligner karma ved at ”røveren” blir selv fratatt det han røvet, og de som ble adskilt den gangen, fikk gjenoppta samlivet i dette livet. Et annen karma ble utlignet slik: I regresjon så en mann seg som adelsmann og leder for en borg i England i middelalderen. Der behandlet han flere av de som arbeidet på borgen usympatisk. Han blir spesielt klar over et par personer som han behandler lite kjærlig. Han kjenner de igjen fra sitt nåværende liv. Den ene er hans kone og den andre hans datter. På denne måten retter han opp sin tidligere dårlige behandling, ved å møte de igjen for denne gangen å gi dem kjærlighet. Et annet interessant tilfelle, som gjelder hva vi skal lære, tar jeg med til slutt. En person fikk en meget klar fornemmelse av at han i et tidligere liv hadde hatt et meget vanskelig forhold til penger og økonomi. Han hadde i det livet store prosjekter, lånte og brukte mye penger uten styring. Det hele endte med at han gikk personlig konkurs. I dette livet hadde han tidlig stor oppmerksomhet på penger og viste økonomisk nøysomhet. Han hadde årlige inntekter før han fylte 10 år og valgte senere å studere økonomi. I hele sitt yrkesaktive liv arbeidet han med å lære andre å planlegge og styre økonomien, samtidig som hans privatøkonomi var oversiktlig og sunn. Det hadde han valgt å lære i dette livet. Ofte velger vi å studere og lære bort det som vi egentlig trenger selv for vår egen utvikling. Karma slipper etter en tid når vi har praktisert og lært lenge nok til at vi har integrert det som skal læres eller utlignes. Universet behandler deg mildest når du flyter med ”tilfeldighetene”, ser meningen med det hele og ikke klager eller stritter imot. Hvis du derimot ikke tar ansvar for egen situasjon, men skylder på andre, sitter du ofte låst fast i situasjonen lenge. Eller om du reiser fra problemene før du har lært din del av leksen, ledes du til samme tema på nytt, men denne gangen legger ditt Høyere Selv noe mer kraft i temaet, i håp om at du arbeider med saken bedre denne gangen. Astrologisk er karma symbolisert med planeten Saturn. Den har en omløpstid rundt solen på 28 år. Det betyr at det kan skje noe med ditt karma når du er 28 år eller i en alder som er delelig med ¼ av et Saturnår, altså 7, 14, 21, 28, 35 etc. Saturn står også for tid som fenomen, noe som betyr at vi trenger tid for å slippe minner og energier fra tidligere liv. Vi har alle med oss vårt karma, mer eller mindre skjult for omverdenen. Hvis du aksepterer at du har planlagt livet ditt, så blir det enklere hvis du greier å finne ut hva ditt karma er. Alt blir lettere når du følger intuisjonen din, som er ditt Høyere Selv som prøver å minne deg om hva planen din er.